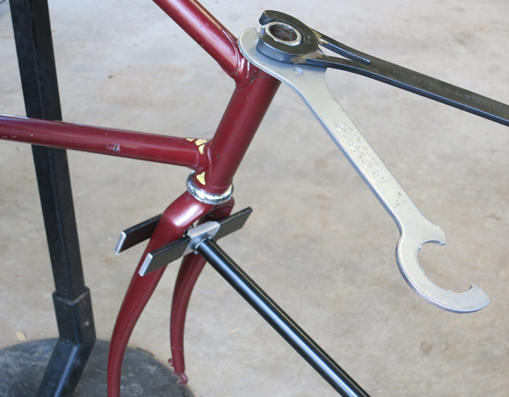 A great tool to use during vintage bicycle repairs. 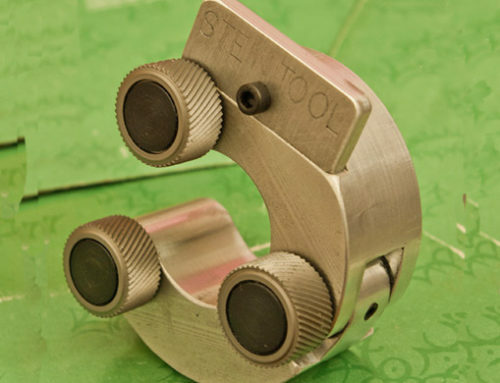 Makes adjusting threaded headsets so much easier. 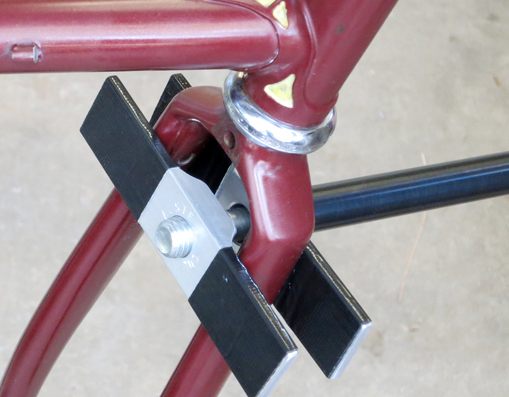 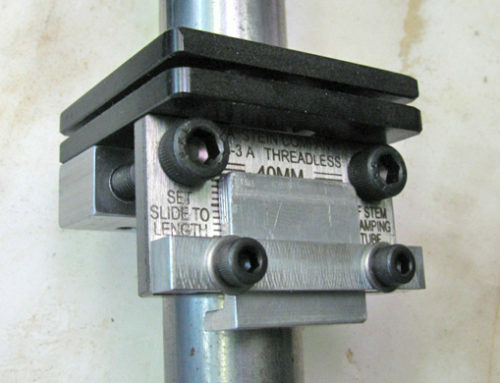 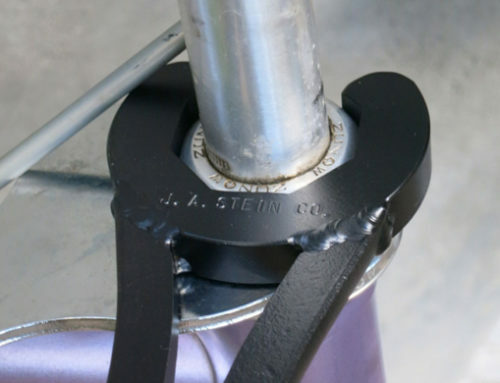 The clamp is placed on the fork and the extension tube slides on the rod that extends from the clamp. 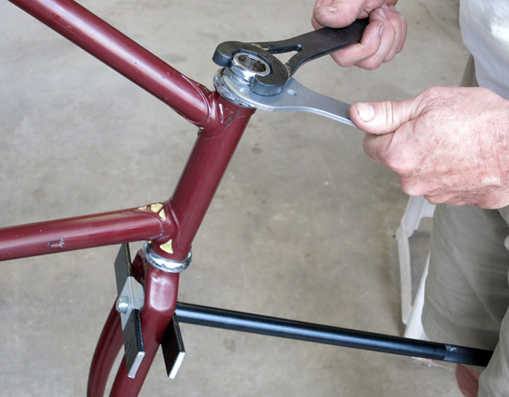 This makes it simple to remove the extension tube permitting a precise feel of the bearing adjustment. 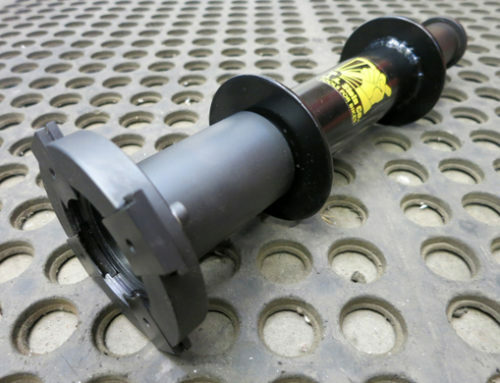 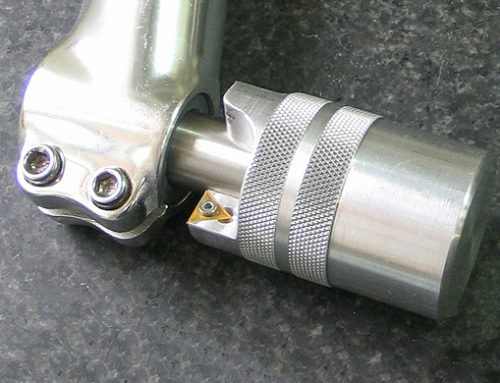 The extension tube is held between your knees so the upper race can be held with the flat wrench, while the locknut is precisely torqued into place without letting the upper race turn on the threads.